Wanuskewin Heritage Park’s plan to paddock a herd of buffalo took another step forward recently when Saskatoon city council agreed to a long-term lease and option to buy 374 acres of field between the existing park and Wanuskewin Road. A plan to install as many as 50 bison on the land where they were harvested by indigenous peoples for thousands of years for food, shelter and clothing is a “key piece” of its application for a United Nations Educational, Scientific and Cultural Organization (UNESCO) World Heritage Designation (UWHD), said Ernie Walker, a University of Saskatchewan archeologist who was instrumental in the park’s creation 25 years ago. The bison is “an icon,” Walker said. Obtaining a UWHD has always been a dream for Wanuskewin, said CEO Dana Soonias. Saskatchewan’s population and economy have grown since the park was established, helping to improve the likelihood of success, he said. Planning for the application began in the early 2000s with various studies, including examination of the viability of bringing bison back to the land. Work began with renovations to the interpretive building around 2006. That was the year the park board obtained an option to purchase three quarters of land west of the existing park. Progress was stalled for several years after a leadership shakeup in 2008, and the land reverted to the city in 2012. On April 25, the city and the park entered into a new 99-year lease for $1 per year. 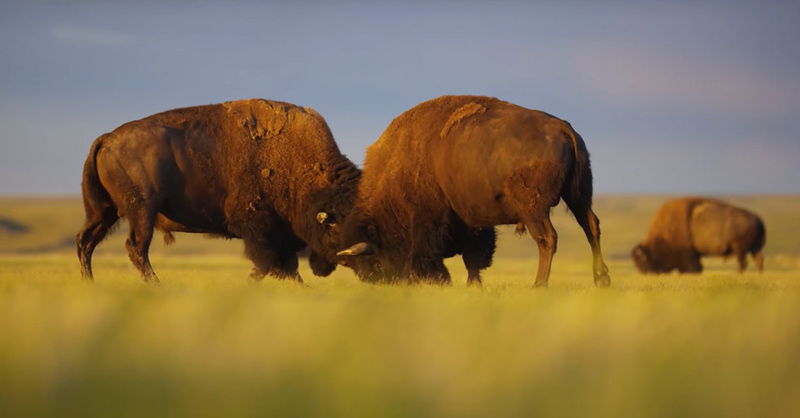 The plan is to begin restoring natural grasses and other prairie plants to the cultivated land and introduce the bison within two years, but it could take a decade for the land to be truly reclaimed and in its pre-farming natural state, Soonias said. Elsewhere in the park, the amphitheatre, trail system and powwow grounds will be enhanced. Indoors, the art gallery and restaurant will remain, interpretive displays will be installed and space will be reserved to host travelling exhibitions of national or international stature, Soonias said. While expansion of the park will cost the city the loss of development in that area, officials are satisfied that revitalization, especially with a UWHD, will bring increased international attention and tourism, raise cultural awareness and provide economic spinoffs, the report to council said. The president and vice-president of the Canadian Commission for UNESCO visited the park for two days last fall. The first stage of obtaining the prestigious designation is being added to Canada’s tentative list for nomination to the World Heritage Committee, which selects sites of “outstanding universal value” to inscribe on the World Heritage List. The process can take a decade to achieve. “Not many sites would qualify … It would put Saskatoon on the map,” Soonias said.